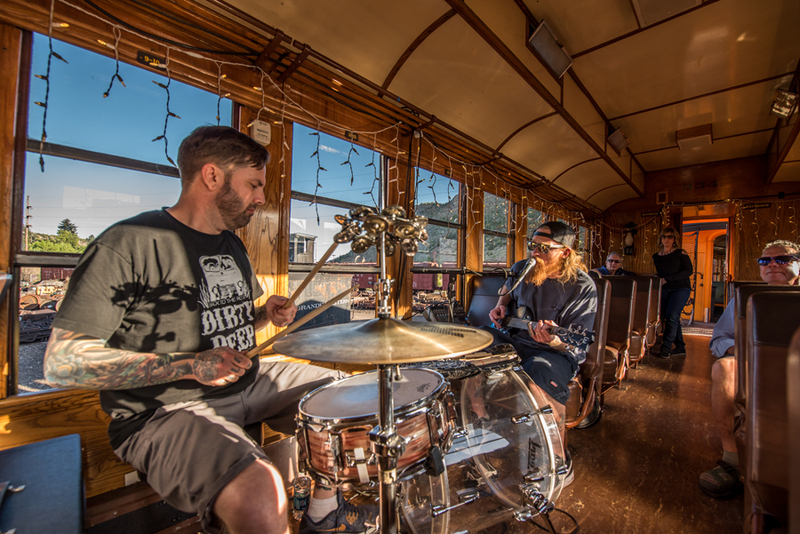 Thank you for purchasing tickets and making the journey to Southwest Colorado for the Durango Blues Train on June 1 & 2. 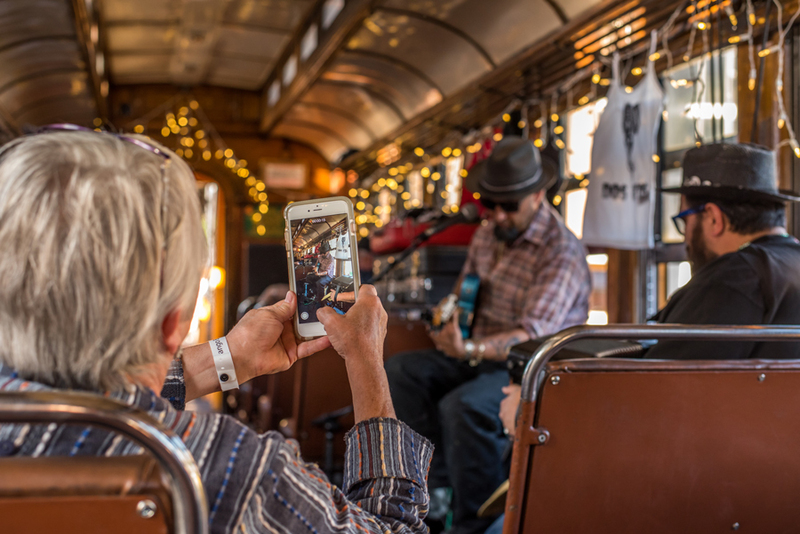 We realize many of you made a great effort and traveled a substantial distance to join us for a musical voyage aboard the Durango & Silverton Narrow Gauge Railroad. We deeply value the planning and effort that has gone into the choice to attend our event. We take pride in producing top-of-the-line experiences that create memories for a lifetime. For our small staff of five people, this isn’t just a job, it is a passion. On the morning of Friday, June 1st, the 416 Forest Fire broke out on the west side of Highway 550 approx 10 miles north of Durango just as we were doing final sound checks for bands and putting the final touches on the event’s unique production. Acknowledging the effort that attendees make by attending the event, the artists' effort to travel to perform and our, along with our partners, efforts to produce the event, we were extremely saddened by the last minute halt to all train activity, including our planned journey for the train. For the safety of our riders, the artists and respect of the firefighters, along with displaced community members and their threatened homes, there was no way a train could run along the planned Blues Train route. We ended Friday evening optimistic that the fire would slow down for Saturday, but unfortunately, that was not the case. As long time Southwest Colorado residents, it breaks our hearts to see the aggressive 416 Fire damaging community members' livelihoods, property and consuming the pristine valley and mountains we have enjoyed for years (this is our 8th year producing the event). At the time of this writing, the fire has reached 2,400+ acres while containment remains at just 10%. Our thoughts go out to all impacted and who live with the anxiety of potentially being impacted. 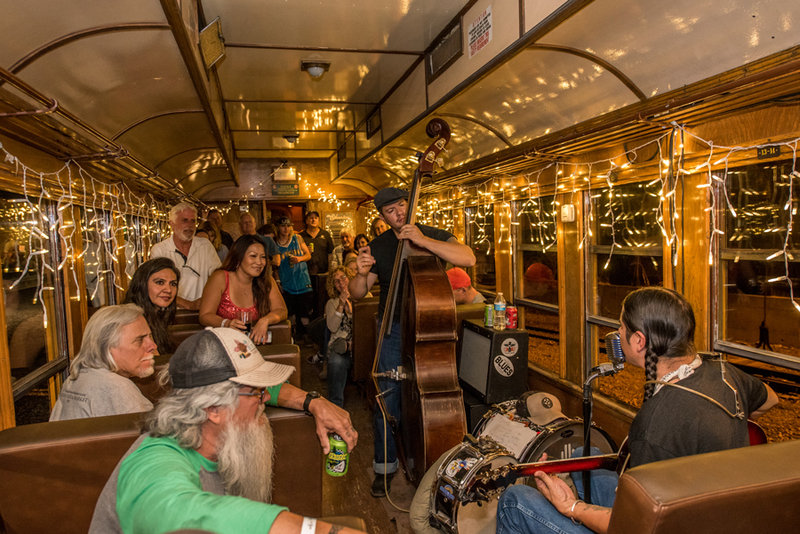 "When life throws your lemons, make lemonade"
Acknowledging your great effort to attend the Durango Blues Train, we decided not to cancel the event, but instead, to host a modified "Rail Yard Party" each night. While it wasn’t the usual musical voyage, we still had an outstanding time, enjoyed great performances and the many smiles of attendees. All bands and staff have been paid in full as if the event was never modified. All partners will be paid as well. 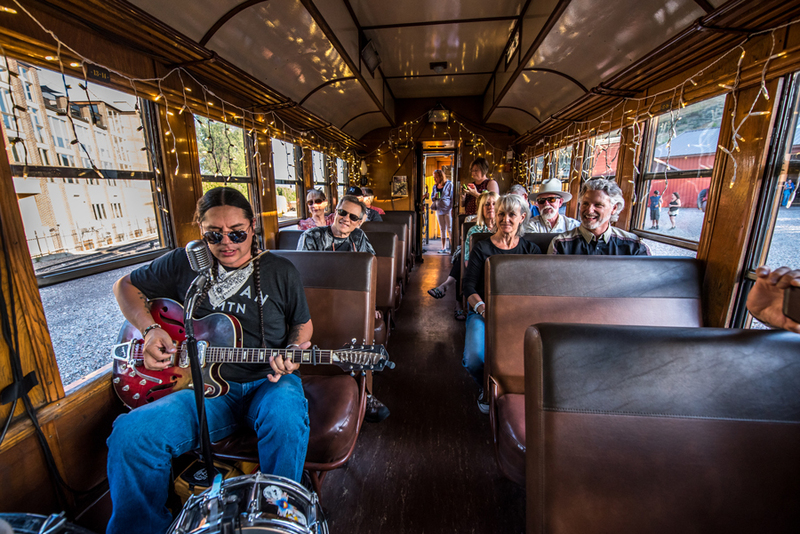 Since the trains were unable to leave the rail yard due to the 416 Fire and we were unable to deliver the full Durango Blues Train experience, we are offering the opportunity to obtain a full refund to all ticket holders. We are also offering partial refunds and a chance to “opt out” of a refund if you enjoyed the Rail Yard Party and choose that is fair. We anticipate a loss on this event, but any net proceeds we retain after the refund process will be be donated to the Community Foundation serving Southwest Colorado, directly helping residents displaced by the local disaster. Please complete the refund form below and allow our team several business days to process the request. All requests must be made by Friday, June 22 in order to be eligible. We encourage you to reach out to us directly with any questions, by email at blues@durangobluestrain.com, by phone at (970) 728-8037 or on the live chat on the right hand bottom corner our website. Thank you and we hope you will join us for another Durango Blues Train or SBG Productions event. Refund requests are now closed. All refunds requests must have been made by Friday, June 22 in order to be eligible. We anticipate a loss on this event, but any net proceeds we retain after the refund process will be be donated to the Community Foundation serving Southwest Colorado, directly helping residents displaced by the local disaster.